13 July 2017: Our first stock market listing as an independent company in the reporting period is more than just a date. It marks the official start of our independence. Nowadays, we are more than a retail company. 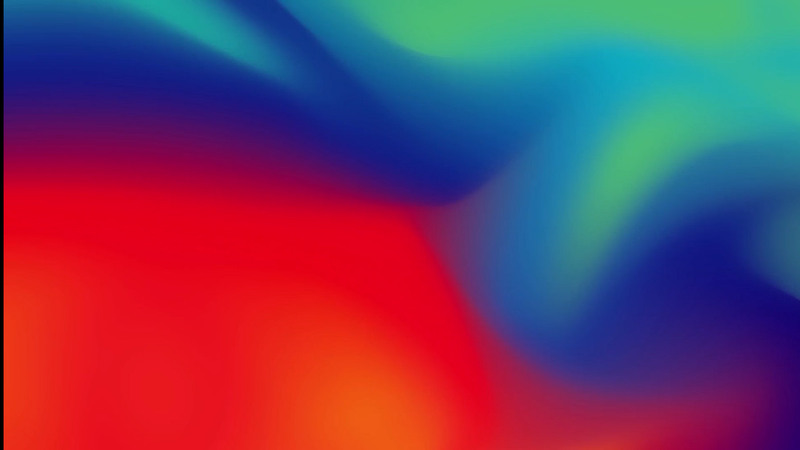 As the leading European platform for companies, concepts and brands in the field of consumer electronics we occupy a special role in the digital world – complete with all the opportunities and challenges that entails. 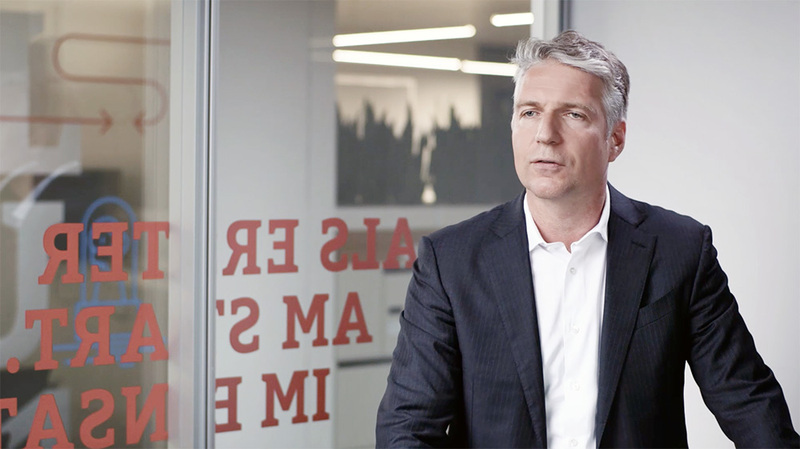 CEO Pieter Haas explains CECONOMY’s successful model. 15 December 2016: The names of the two companies to emerge from the demerger of METRO GROUP are presented for the first time at Capital Markets Day in Düsseldorf: Metro Wholesale & Food Specialist AG becomes METRO AG, and METRO AG becomes CECONOMY AG. 2 February 2017: Future CECONOMY AG announces its first establishment of a subsidiary, Retail Media Group (RMG). The online campaign specialist develops customised advertising campaigns based on non-personalised visitor and purchase statistics. 6 February 2017: At its Annual General Meeting, 99.95 per cent of the shareholders of METRO AG approve the demerger of the Group into a food specialist and a consumer electronics specialist. 7 March 2017: CECONOMY is the new principal shareholder of DTB Deutsche Technikberatung GmbH (DTB). 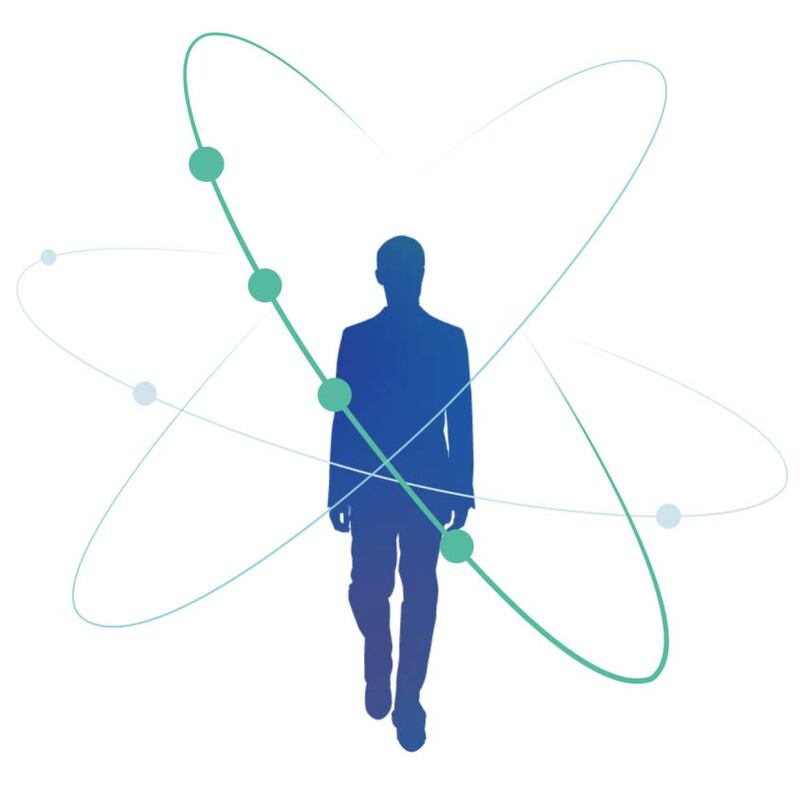 Through its stake in the network of professional consultants, CECONOMY now keeps its promise to provide after-sales service as well. 27 June 2017: Shortly before its IPO, rating agencies Moody’s and Scope give future CECONOMY AG investment grade ratings. 12 July 2017: Entry of the Group hive-down and demerger in the commercial register marks completion of the split of METRO GROUP and the future birth of CECONOMY AG as an independent company. 13 July 2017: The new CECONOMY share is admitted to trading on the Frankfurt and Luxembourg stock exchanges. Even after the Group demerger, it remains listed in the MDAX. 11 August 2017: The name change from METRO AG to CECONOMY AG is officially entered in the commercial register, marking one of the final steps in the demerger process. Our world is becoming increasingly digital, but it can only really be called smart if everything actually works and interacts seamlessly. The solutions and services provided by CECONOMY play a major role in ensuring just that. This is not something we can achieve by adopting a position as a mere consumer electronics retail company; it requires our role as a leading European platform for companies, concepts and brands. Some six million customer contacts every day show us that we are needed. And we know what is needed. Rigorous customer orientation spanning all communication channels is therefore the very clear number one topic at CECONOMY. 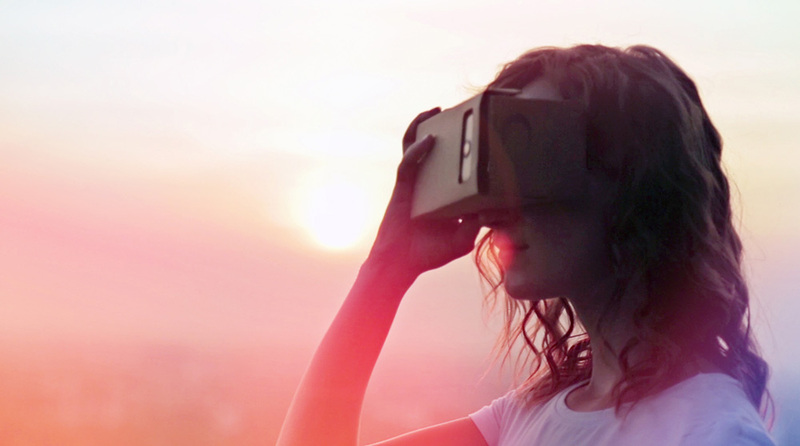 Customers are inspired by five major trends – which offer huge opportunities for CECONOMY. – which offer huge opportunities for CECONOMY. Nowadays, customers are increasingly well informed and more knowledgeable than ever before. Competition is fiercer today than it has ever been before. All market players are making use of all the channels to try and acquire the same customers. Customers are benefiting from limitless choice and are increasingly adopting a new approach to using products, by borrowing, renting or sharing them, for example. Finding the right solutions is, however, not made easier by the growing complexity and diversity of the range. Customers therefore increasingly want clarity and support. Customers don’t just want to shop; they want a shopping experience. They therefore expect processes to be simple and convenient, fast and smooth. They don’t just want products; they want comprehensive solutions. And they want support and personalised treatment in all channels. New digital technologies are reinforcing these trends and allowing customers to discover what is new, to evaluate it there and then, and to shop in a multitude of channels promising outstanding performance. Regardless of where customers choose to look for information or advice, or to shop – whether online or when out and about, in a local bricks-and-mortar consumer electronics store or at home – CECONOMY is there for them. Customers might not think in terms of multi-channelling, but we do. Customers want everything everywhere. And we make this possible by offering the full spectrum of consumer electronics services – from providing information and advice to selling and delivering, right up to installing and repairing. Multi-channel marketing is our winning model. Our channels are all optimally interlinked. After all, customers nowadays don’t think twice about mixing and matching their options. 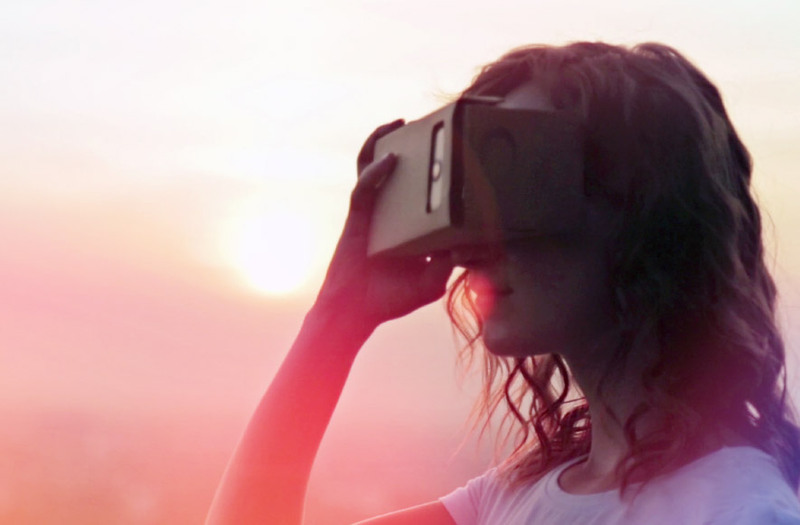 The digital world – endless possibilities. Customers appreciate having a daily partner and navigator at their side to offer direct assistance. It’s not just about selling products, but about selling solutions. And that‘s precisely what we do. Complete with services for customers that extend far beyond just the product. CECONOMY focuses on the entire customer journey. So what does that mean for the customer? 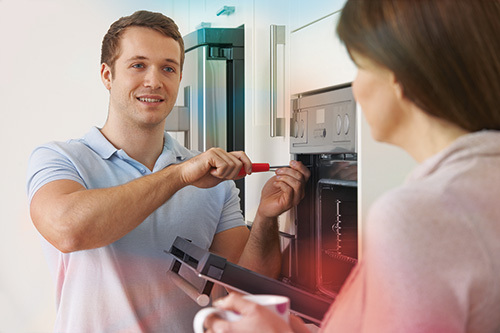 We provide our solutions wherever our customer needs us: before, during and after the sale or later, if an appliance needs repairing or troubleshooting. And no matter where a customer chooses to approach us – at one of our stores, online, by mobile device or from home. 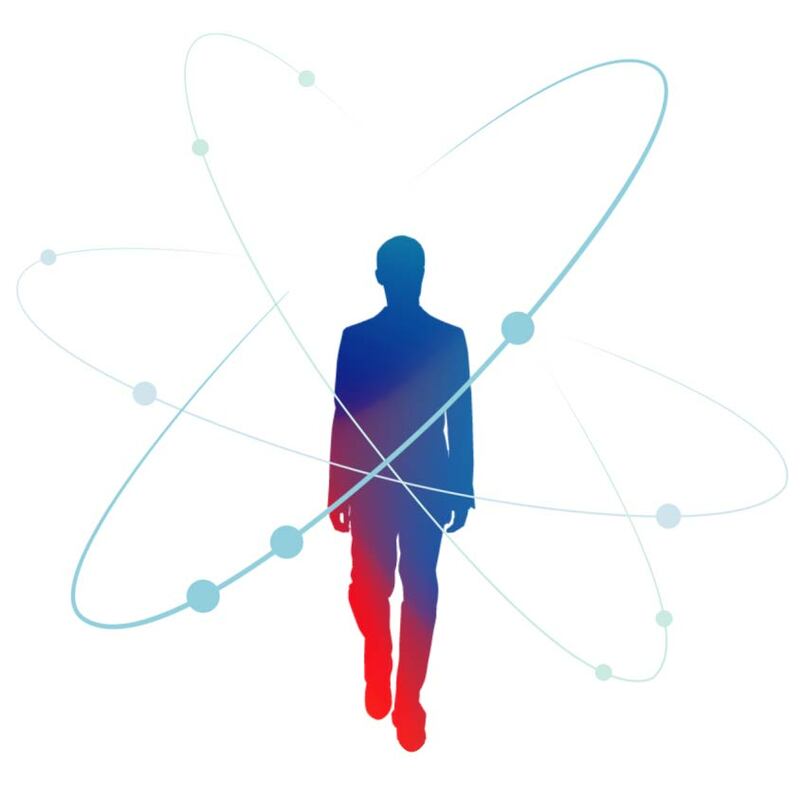 It is this solution expertise that sets us apart. The consumer electronics market is particularly affected by growing digitalisation. You could even say it is digitalisation personified. Which explains why anyone looking to occupy an optimum retail position in this world must comprehensively digitalise their own business model. Survival of the fittest depends on being able to think and act digitally. CECONOMY ranks among the digitalisation pioneers and has already reshaped its processes in some key sub-areas. We’ve understood: retail is technology nowadays. We therefore no longer see IT as a purely support function; it is, in our eyes, a core competence. We want to lead the way in digitalisation, not follow. This is how we will drive the transformation throughout the industry. Every customer’s wish motivates us to become a little bit better every day. Which is why customer support does not end once a product has been sold. On the contrary, after-sales support is a key element in our services portfolio. Because we think in terms of solutions, not products. This also means we go above and beyond the usual boundaries of selling. Which is why we invested in a stake in DTB Deutsche Technikberatung. The specialists at this start-up consulting firm that operates throughout Germany troubleshoot consumer electronics problems for customers in their own homes. 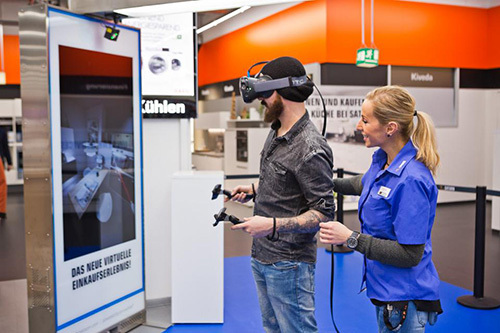 Our more than 1,000 stores in 15 European countries are showroom, entertainment venue and service point all rolled into one. And, above all, they are digitally optimised for multichannel marketing. Technologies such as virtual reality or electronic shelf labels make them just as digital as our online shops. The border has long since blurred: Nearly every second product ordered from us online is collected in store. People used to say everything is going to go online. These days, our competitors envy our bricks-and-mortar stores as they are an asset and integral part of our multichannel strategy. This is also our response to pure players, who contrary to us, are not in a position to offer customers every channel with blanket coverage. Above all something is missing with them: the human factor. Two billion: This number represents the development of our online business like no other. In just five years we have increased our online sales to around two billion euros. Our successful efforts to attract users include content marketing, such as the prize-winning “Turn on” journal published by Saturn, or portals focusing on hot topics, such as smart homes, cooking, gaming, or virtual reality. Personal technology assistance at home – this is DTB Deutsche Technikberatung. DTB enables CECONOMY to successfully provide this special service in the consumer electronics business. 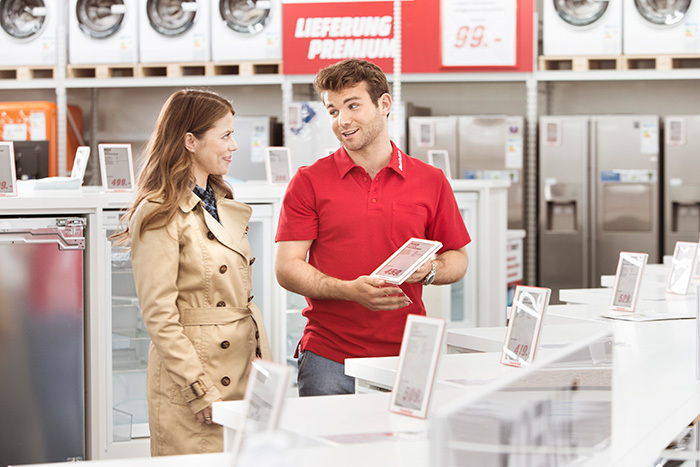 Driven by their slogan “personal, fast, reliable”, the DTB experts make home visits throughout Germany to help set up WiFi, configure the printer or explain how to use the mobile phone. By the same token, they offer remote maintenance by computer wherever it is needed around the globe. 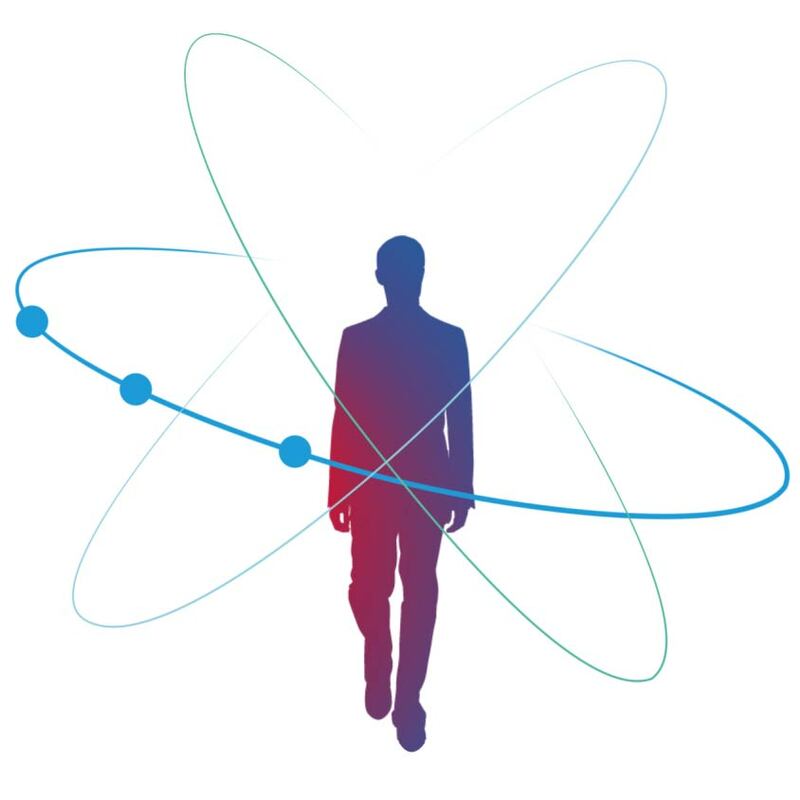 DTB is therefore another key element in the outstanding solution expertise of CECONOMY, and will be able to demonstrate its full effectiveness once it has been successfully launched by the end of 2018. Full service for mobile phones, tablets, etc. 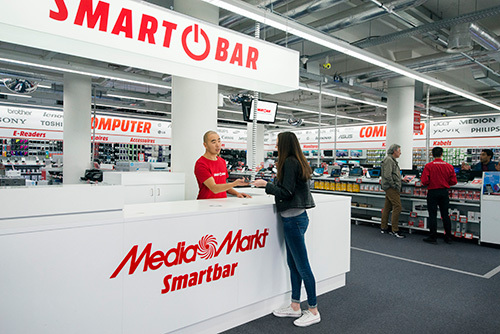 Our Smartbar concept features central points of contact for services and repairs, right in-store. The service portfolio offered by the Smartbar experts on site is tailored exactly to the expectations of our customers, and ranges from smartphone setup, express repair and optimisation to tablet installation to laptop and PC configuration. By providing these services, the Smartbars have become an innovative in-shop concept that is unparalleled, and which sets CECONOMY even farther apart from its competitors. We get the message – our interpretation of service and comprehensive customer orientation extends to delivery, as well. Customers have numerous options to choose from: for example, they can shop in the store and take their purchases away with them or they can order online for delivery to their home or to a store of their choice for collection (pick-up option). Also, they can opt for express delivery within just three hours or delivery at a time that suits them best. At CECONOMY, a multichannel offering also means multichannel delivery options. Our customers like it: 42 per cent of our online buyers opt for the cost-saving pick-up option. The sharing economy has long since been part of CECONOMY’s approach to doing business. 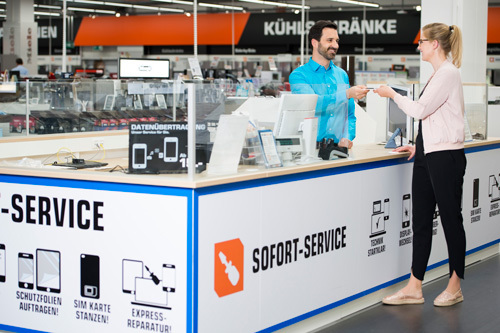 Joining forces with Berlin start-up Grover has enabled us to offer customers the option of temporarily renting the very latest gadgets from the MediaMarkt online shop. Customers can choose from some 500 products – from console to robot vacuum cleaner to drone. 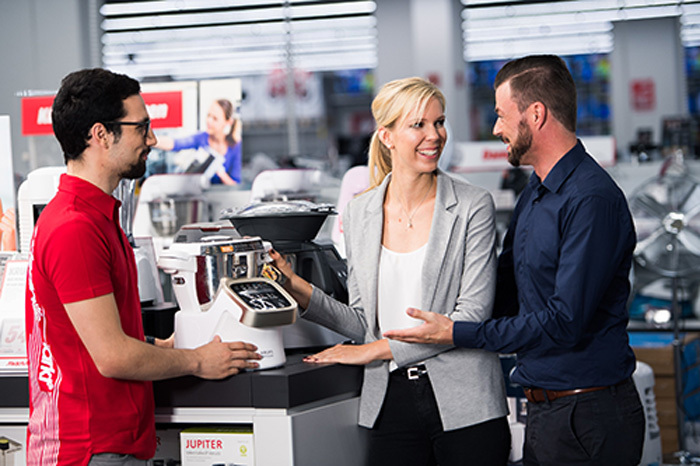 Within a short space of time, the rental portfolio has become the largest of its kind in the German consumer electronics market. Further proof of our customer-oriented solution expertise. What may seem a simple piece of technology at first glance is, in fact, enormously effective. 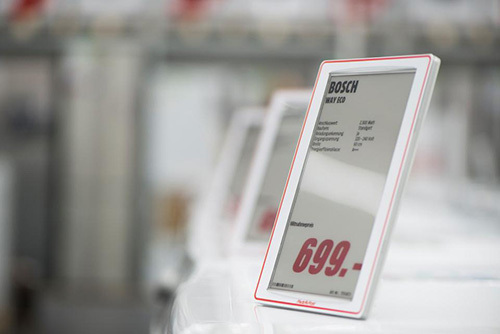 Electronic shelf labels in all of the more than 1,000 local stores enable CECONOMY to easily keep pace with the rapid speed at which prices of consumer electronics products change in today’s market. 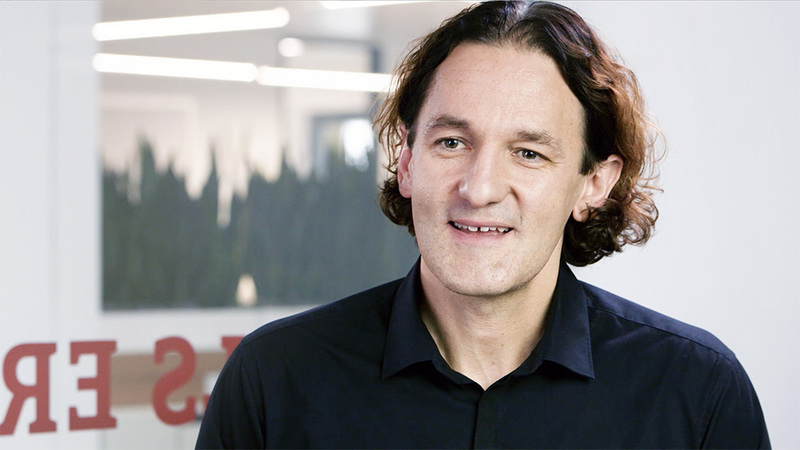 Martin Wild, Chief Digital Officer (CDO) of MediaMarktSaturn Retail Group, explains why he enjoys looking into the digital future of CECONOMY. 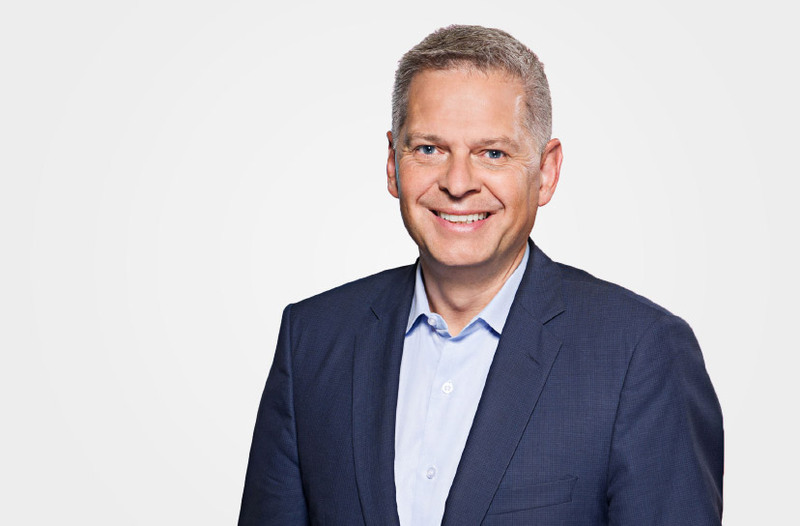 Karel Dörner, Chief Technology Officer (CTO) of MediaMarktSaturn Retail Group, on the rigorously technologically-oriented focus of CECONOMY.